The last person Jason Mann ever expects to cross a line is sweet Meg Marvell, the woman he'd fallen for–and left–two years ago. An accidental meeting has Meg asking for answers, which he'll give if she travels hundreds of miles to her cousin's ranch where he works. Maybe making her go out of her way will help Meg understand that he's not a good guy. His rough past makes it impossible to fit into her world. Middle-child Meg Marvell has spent her life brokering peace and bending to avoid conflict. She lives cautiously, rarely takes risks, steps back when confronted. And she is damned tired of it. It’s time to tackle life on her own terms. Break free. And what better way than to answer Jason Mann’s challenge? 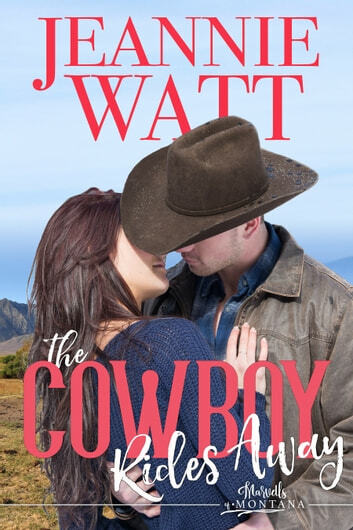 He doesn’t believe she’ll travel to her cousin’s ranch to discuss why he disappeared from her life, so she does him one better and hires on. She didn’t want him back—she wants to prove that she can rise to a challenge. Unfortunately, the attraction they once shared has not withered and died as she’d once thought…if anything it’s stronger than ever. Second chance romances are truly my favorite and this is a great one. Meg Marvell thought she and Jason Mann had a great thing going. Then he left without a word. Seeing him again after 2 years is a shock but she needs answers and she's determined to get them. The only way he will agree to answer her questions is if she comes back to her cousin's ranch with him. Once there she shocks him by taking a job and pretty much ignoring him. Seeing her everyday is slowly driving him crazy and if he doesn't get her to leave soon he will lose his resolve to protect her by leaving her alone. A great read and one I recommend. This was a deep book. There is a lot of twists and turns, arguing and some Danger. This starts by showing the two families have a feud going. Meg wants to try to stop it. Jason has had a terrible childhood. He went to juvie and then the Military where he found Cody. Jason worked with Meg two years ago. Then ran without saying anything to anybody. Major Spoiler! Now she works for Zach fixing fences, training goals and helping Jason to break the young horses to the saddle. Now Jason is upset because Brandon is doing something in his cabin with Meg. Major Spoiler! Here is where Meg will find why he ran then and he is about to do it again. You will have to read to the end of the book! Please check to see if this for you! If so, then do not let it get away! Give this story a chance! I volunteered to read and review this book. Another Winner from Jeannie Watt! Nothing is as it seems in this tale of star crossed romance and adult angst. What happens when doing the right thing turns out to be all wrong? The Cowboy Rides Away is a story of missed chances and mending fences. The road to forever is littered with obstacles but the reward is the healing of two broken hearts. 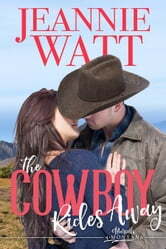 The Cowboy Rides Away is the third book in the Marvells of Montana series. Sometimes doing the wrong thing for the right reason is just as bad as doing it for the wrong reason. That is just what Jason was trying to do when he left Meg: protect her. But to Meg, it felt all wrong. Two years later, they run into each other and Meg won't back down until she finds out why he left. This story was amazing, and I highly recommend this book!